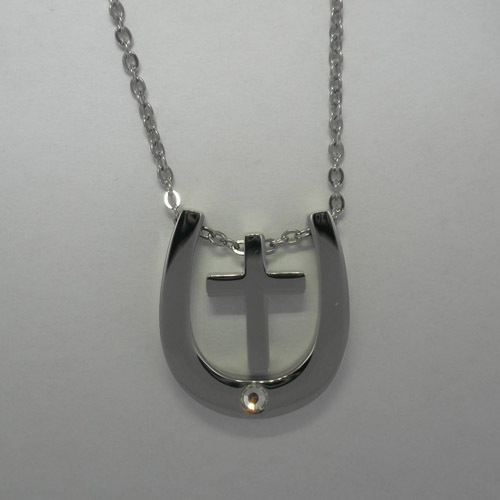 Desc: Stainless Steel Cross inside Horse Shoe Necklace. The stainless steel chain is cable link with a lobster claw clasp. The pendant is fashioned to resemble a stainless steel Cross pendant mounted inside of a stainless steel horse shoe pendant. One clear crystal is mounted in the toe of the horse shoe. The necklace has a bright polish finish.